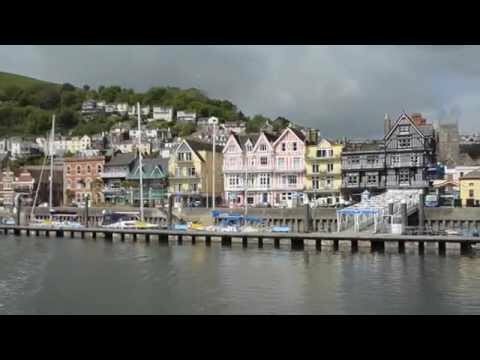 Steve Sherwin, boat skipper on or around the Dart for the past 25 years, and now skipper of the Dart Explorer, takes us through a typical summer day for a skipper of the Dartmouth Steam Railway and Riverboat Company. 8am: “This is when most of us start – it can depend on the tides of course – we get down to the river, go out to the company pontoon in the middle of the river and get on our boats. There are lots of engine checks to do, oil levels and similar things, and then we have to make sure the boats are clean and ready for the passengers. Sometimes there will have been a late finish the night before so you have to do any cleaning that needs doing and the bar needs to get stocked up too. If there is time we will also do some staff training in the morning. It’s my responsibility as skipper to ensure everyone gets training regularly. In terms of safety and being able to handle any eventuality it’s important to make sure all the crew are trained properly. And we have coffee – that’s very important for all of us! A crew will do 5-6 days together as a routine and we all get on well, and sitting down having a coffee and a chat can help that. As we are all so well practised and know our roles, sometimes you can just get on with your job – and not find time to chat. So it’s nice now and again to catch up with what each other are doing. 10.30am: On a normal day we come alongside the pontoon or Embankment wall ready to pick up passengers for the 11.30am cruise. We welcome people on board, check their tickets and get ready for the trip. Our average number of passengers is about 100, but we can carry a lot more on the bigger boats. I’m on the Harbour cruise at the moment which means that we go down to Dittisham and then back up to the Castles at the mouth of the river. If the weather is right we go out of the harbour a little bit, which is nice to show the passengers some of the beautiful coastline around the river Dart. I’m also on commentary for the cruise, which is a part of the job skippers have to do, and everyone develops their own style. I like to have fun on mine, chatting to the passengers as much as possible. I sometimes announce to passengers just as we have left the pontoon that they are on the cruise to Torbay and beyond – people are just starting to panic when I come clean! The cruise is about an hour and pretty straightforward in the most part – though sailing along the Dart can be tricky with tide, wind and the low water. There’s no such thing as a typical landing on the Dart, you have to be quite skilful at times. The run to Totnes, which also goes throughout the day, takes an hour and a quarter each way, and has some pretty tricky sections at low tide. But we all very confident and good at judging the tide so we don’t come up against any problems. The cruises leave throughout the day – the Harbour cruise, unless there is a strange tide, will leave at 11.30, 12.30, 1.30, 2.30 and 3.30pm. 4.30pm: the Harbour cruise will finish its last run and, on a normal day we will take the boat back to the pontoon, put the Boat to bed – cleaning down and checking everything on the engineering side - before heading off to your evening! 5pm: But on a lot of summer nights we have an evening cruise booked for some reason, normally a private charter. We would then start setting up for the evening cruise – we’d had a quick check of what the hiring clients wanted, and set up the boat accordingly. We would then get the entertainment on, a DJ or a band, before welcoming the guests on board again. 7pm: The drill for the private charter cruises is to potter up and down the river, as people have a great time! We will often go outside the castles on nights that are calm, giving everyone another view and some new beautiful scenery to look at. 11pm: We drop off the passengers and put the boat to bed on the pontoon, before heading home – generally tired but happy.